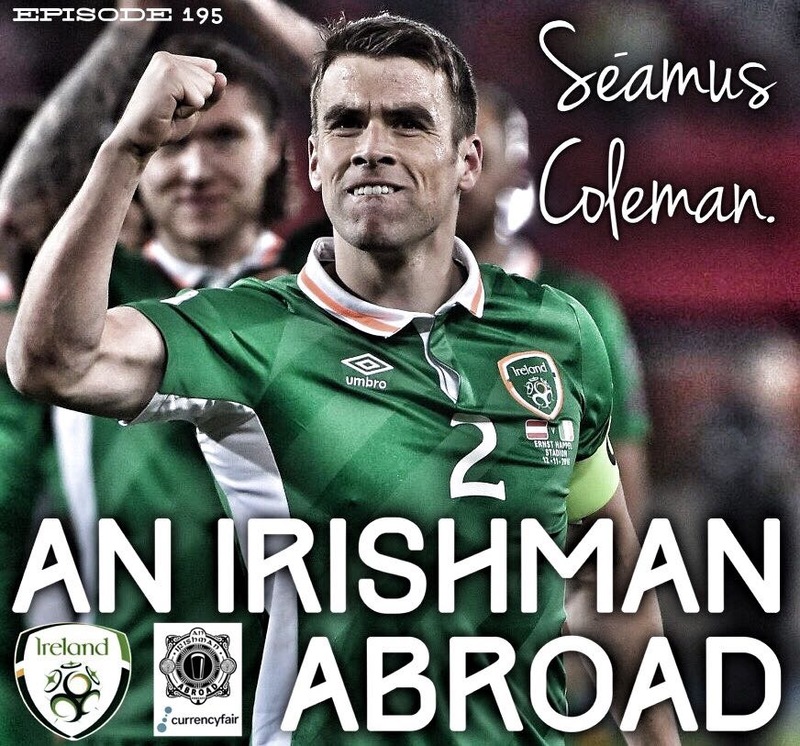 In what is the most highly anticipated episode of the series to date, this conversation with Séamus Coleman certainly does not disappoint. Recorded just days before his devastating injury against Wales in March, we get to hear how Séamus puts his body on the line in every challenge (38:00) and what he sees as the key for Ireland to make it to the World Cup (53:00). Séamus also explains how an infected blister almost saw his career come to an end before it even begun (10:00), his desire to return to Ireland to play GAA one day (52:00) and the camaraderie on the Irish team who are 'the fans that got to play' (39:00). From why he doesn't Tweet (27:00) to the party routine-style initiations for rookie Irish squad members (40:00), his thoughts on David Moyes (47:00) and Roy Keane's position in the Irish setup (42:00), and much much more, this is a fascinating conversation with one of Ireland's greatest sportsmen at the peak of his career. This episode is brought to you by FAISeasonTickets.ie. With an FAI Season Ticket for the 17-18 season, you get tickets to five home games at the Aviva, including all the remaining World Cup qualifiers. Be a real fan, be there through it all, log on to FAISeasonTickets.ie to get your seat. FAISeasonTickets.ie – There Through It All.